KEKAHA, Kauai » For the first time, a Navy ship fired missiles and shot down two missile targets. 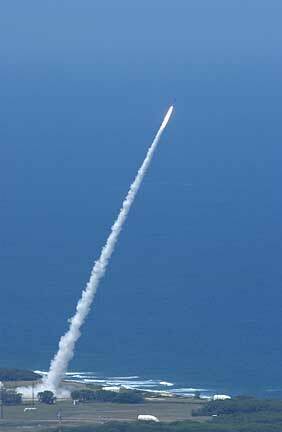 The USS Lake Erie conducted the successful test yesterday off Pacific Missile Range Facility. It marked the eighth successful test of the Navy's Aegis ballistic missile defense system in 10 tries. The cruiser equipped with the Aegis radar system was able to track both targets -- a short-range ballistic missile launched from the missile range and a cruise-type missile from a Navy aircraft -- and launch missiles within a minute, said Ballistic Missile Defense officials. Two minutes later the missiles destroyed the two targets. It was the second try for the system against multiple threats. A similar test in December failed when the fire control system aboard the Aegis-equipped ship failed to work properly, and neither interceptor missile was launched. It turned out to be a software problem. 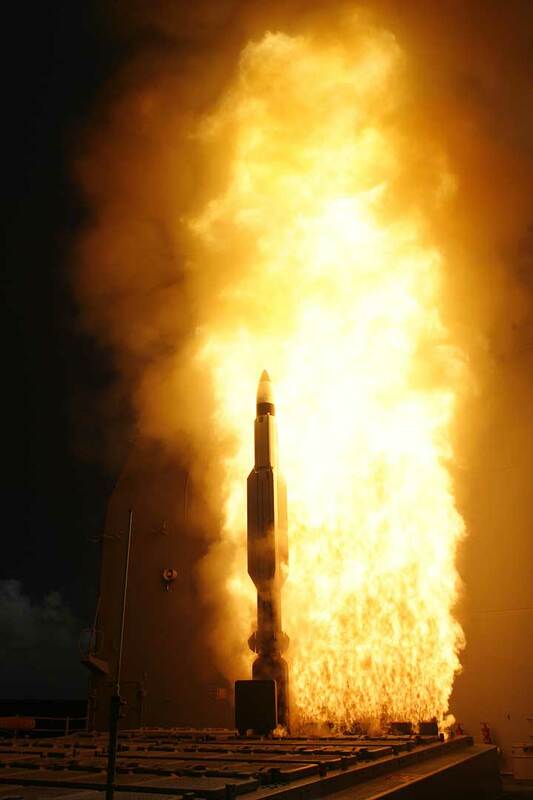 Although the Aegis system has been tactically certified, the Navy will continue to conduct tests of the system for years to come, said Missile Defense Agency spokesman Christopher Taylor this week. The Kauai missile range will likely hold three Aegis tests a year for the foreseeable future, Taylor said, adding new wrinkles to each test as the Navy and the Missile Defense Agency continue to give officials information to fine-tune the system. And tests for the Army's portion of ballistic missile defense, called Terminal High Altitude Area Defense, are also scheduled off the Garden Isle base in the coming years. "PMRF is a great test facility," Taylor added. The location and lack of encroachment "gives (us) an opportunity to test different missile ranges and different phases of (missile) flight." Currently, there are six Aegis-equipped ships deployed and able to shoot down ballistic missile targets. By 2009, 18 ships -- 16 in the Pacific and two in the Atlantic -- are scheduled to be deployed around the globe.